Watch the sun rise out of the Atlantic, pelicans diving for their breakfast, shrimp boats hauling in Key West pinks, and kite surfers enjoying the island breezes... all from the comfort of your private oceanfront veranda in this beautiful 4th floor condo. This 2BD/2BA unit has been well-maintained and the kitchen has been updated with granite countertops and custom cabinetry. Other perks include covered parking and storage close to the elevator. The La Brisa Community offers wonderful amenities, including a large heated pool, spa, tennis court & clubhouse. 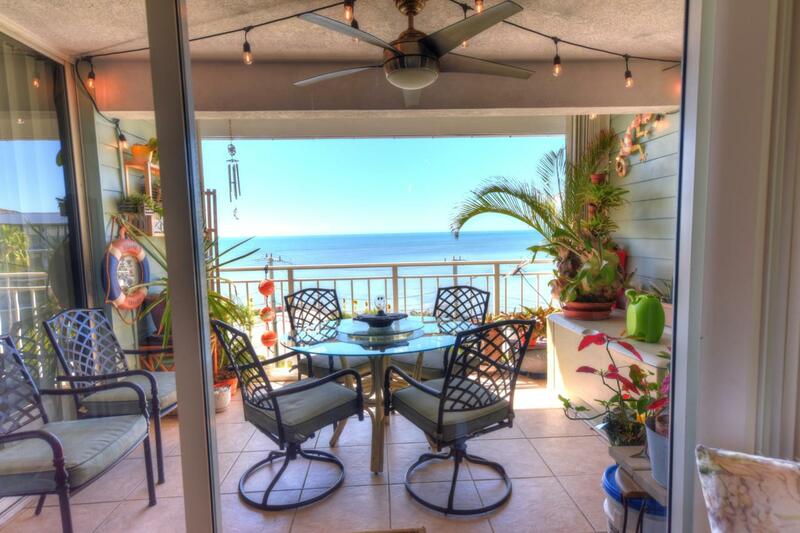 This open water view condo is the perfect vacation home or monthly rental property. Listing courtesy of Scott P Forman of Royal Palms Realty (Kw).